With around 53 per cent of those who have smartphones on the Android operating system, security is the of the utmost importance now more so than ever, considering how often we browse online and shop online. So here are the ultimate top 5 tips if you want to keep your Android safe. Make sure you only download apps from the Google Play Store. You may find an interesting app on a website, but it could be filled with dangerous malware. “Malicious actors wrap traditional apps with malicious software which can hack your device, send premium SMS messages, record all your interactions and send them off overseas, or other variants,” says Cameron Camp, Security Researcher with ESET. It can be tempting to connect to Wi-Fi whenever you can to save up on your data allowance, however many unsecured networks are unsafe. Only connect to the ones you know and trust, and be wary of ones you haven’t heard of. And make sure to never make any kind of transaction whilst using free Wi-Fi. There are (safe!) apps you can use if your mobile goes missing or gets stolen so you can wipe out sensitive data and/or track it down using GPS or other technologies. “At least you’ll know where to start looking, even if it’s buried in the back seat of your car,” said Camp. 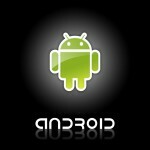 Check out Seek Droid and Android Lost. Have you ever received a text from a number you don’t know? If the content seems suspicious, delete it and make sure you don’t reply. There are many scams out there involving text messages which lead you astray, either receiving astronomical phone bills or stealing your personal data. So, there we have it – our top 5 tips to keep your precious Android safe! Can you recommend any Android scams to be wary of?